A New Interpretation of a "UFO Abduction Survey"
For a Russian translation provided by Everycloudtech, go here. For a Bosnian translation by Vlada Catalic go here. 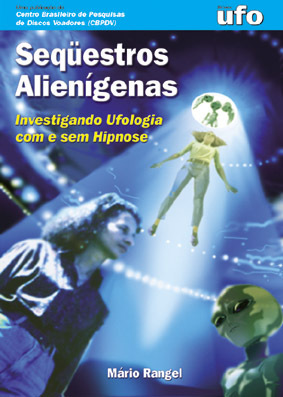 Hopkins, Jacobs and Westrum's (1992) assertion that 3.7 million Americans are suffering from "UFO abduction syndrome" has been criticized for methodological and logical deficiencies (Stires, 1993; Klass, 1993; Hall, Rodeghier & Johnson, 1993; Dawes and Mulford, 1993). In an attempt to remedy these deficiencies, my research methods class at Rutgers University in Camden undertook to replicate Hopkins, Jacobs and Westrum's survey. Our questionnaire included the same items which they believed were indicators of UFO abduction, but added other items designed to place their items in a broader psychological context. In March and April, 1993, we conducted interviews with 697 residents of southwestern New Jersey. Our sample was partly random and partly accidental. We began with telephone interviews of randomly selected telephone subscribers, but it proved too difficult for the students to obtain an adequate sample in that way, so we relaxed the sampling plan to allow the students to include their friends and family members. This kind of accidental sampling is not appropriate for generalizing to a population at large, but it is generally viewed as adequate for testing the validity and reliability of a measure. There is no reason to believe that systematic sampling biases were introduced which would have distorted the correlations between questionnaire items. Despite the use of accidental sampling, the frequency of "unusual personal experiences" in our sample was close to that obtained by Hopkins, Jacobs and Westrum's representative national sample. Table One gives the percentages from both samples for the five experiences which Hopkins, Jacobs and Westrum used as their measure of UFO-abduction status. By their criteria of having suffered four or five of these experiences, 3.7% of our respondents qualified as "abductees." This number is quite high, especially considering the fact that the interviews were done in the suburbs of Philadelphia, an urban region which is not known for a high frequency of UFO sightings or abduction reports. Assessing the validity of a measure is much more difficult and is really the crux of the issue. By validity, we simply mean whether the measure measures what it is supposed to measure, in this case UFO abductions. The best method (known as criterion validity) is to correlate the measure with a known outcome measure. Thus, a measure of "scholastic ability" can be validated examining whether it correlates with school performance (other things being equal). This method cannot be used in this case, however, since we have no generally accepted measure of abduction status. The only viable alternative is to examine the measure's "construct validity." This means examining whether the measure performs as the theory predicts. In this case, there are at least two alternative theories which can explain why the measure is internally consistent. One is that the respondents are consistently reporting on similar experiences as UFO abductees. The other is that the individuals who score high on the scale share a psychological tendency to have false memories. Flournoy (1911) referred to this phenomenon as cryptomnesia. Psychologist Robert Baker (1992: 78) states that this phenomenon of "seeing complex visual images in one's head that you cannot remember ever having seen before or...suddenly hearing voices from unknown and unrecollected sources is not only a much more common occurrence than is generally known but is also one of the more interesting and intriguing anomalies in the field of `normal' human behavior." To distinguish between these two theories, we included three items in our questionnaire which asked about "unusual personal experiences" which are not part of the "UfO abduction" syndrome as posited by Hopkins, Jacobs and Westrum. These three items are numbers 11, 12 and 13 in Table Two. As Table Two shows, these items correlated (Pearson's r) with the "UFO Abduction" measure as well as the other items from Hopkins, Jacobs and Westrum's study which are also included in Table Two. Three of Hopkins, Jacobs and Westrum's items (numbers 6, 7, and 8) actually say nothing about UFOs, but can better be thought of as tapping a cryptomnesiac tendency to have "psychic" or "New Age" experiences (Ring, 1992). If all these thirteen items are combined in a single scale, we obtain a reliability coefficient of .75. We used a statistical technique known as factor analysis to analyze how the responses to the thirteen items grouped together empirically. The factor analysis found that a single factor accounts for the consistency of the measure. There is no empirical basis for separating the "UFO" items from the items which do not relate to the abduction phenomenon. Table Three shows the loadings on this principal factor. The loadings measure how well each item correlated with the general factor which the group of items have in common. As the table shows, the three non-UFO related items (11, 12, and 13) fitted right in with the other items which were intended to measure UFO abduction experiences. An attempt to divide these items into groupings through a technique known as "rotating the factors" was not successful. The only items which clustered together were "seeing a UFO" and "having vivid dreams about UFO's" which are obviously similar. If we treat these two items as belonging to a separate factor, the item which is most closely related to them is "seeing a ghost." The factor analysis strongly supports the view that these thirteen items are a measure of cryptomnesia, not of UFO abduction. We will henceforth refer to them as the cryptomnesia scale. While the Hopkins, Jacobs and Westrum scale is not a valid measure of UFO abduction, they have inadvertently constructed a useful measure of another phenomenon: the tendency to have false memories. Therefore, we will henceforth refer to this measure as the cryptomnesia scale. Further support for this interpretation can be obtained by correlating the cryptomnesia scale with other items in the questionnaire. To the extent that the scale behaves as Baker's theory would predict, we can be more confident of its validity as a measure of cryptomnesia. Table Four shows correlations between cryptomnesia and a number of other questionnaire items. All the correlations reported in this study are statistically significant (p < .05). The first three items show that high scores on the cryptomnesia scale are related to belief in conspiracies, including the JFK and AIDS conspiracies, as well as the UFO conspiracy. Cryptomnesiacs are also more likely to believe in astrology, and less likely to trust their neighbors, relatives and parents. They are more likely to have difficulty dealing with the stress in their lives, are more likely to wake up with worries at night, and to feel that people are conspiring against them. They are more likely to enjoy reading about UFOs and other strange phenomena. We did not, however, obtain significant correlations with items measuring anomie (a feeling of normlessness, or not really belonging to society). Many of these findings are not surprising. David Jacobs (1992) has noted high stress levels and frequency of psychosomatic symptoms among "UFO abductees" which he attributes to the trauma of the abduction experience. The question here is one of distinguishing cause from effect - do the abductions cause the stress, or does the stress cause the false memories which are interpreted as abductions under hypnosis? It is difficult to resolve this kind of cause and effect issue with data gathered at one point in time. Since our analysis suggests that we are dealing with cryptomnesia, not UFO abduction, however, we undertook a causal path analysis based on the assumption that this is a psychological phenomenon rooted in early life experiences. The results of this analysis are summarized in the path diagram. The path analysis suggests that cryptomnesia is rooted in a lack of trusting relationships. This problem may have its origins in early childhood, but it continues into adult life with a lessened feeling of trust of friends and neighbors. This lack of trust leads to feelings of anomie and anxiety which make the individual more likely to construct false memories out of information stored in the unconscious mind. People who think in this way are susceptible to belief in conspiracy theories since these theories help them to make sense of an otherwise incoherent world. This causal analysis is consistent with our data, but certainly not proven by it. Path analysis is not a substitute for in-depth psychological case studies. The path coefficients are modest in size, probably because most of the variables were measured with brief three-item scales because of the need to keep the questionnaire brief. This analysis does, however, provide a more plausible interpretation of the data than the UFO abduction hypothesis. It is also consistent with the results of detailed psychological testing on abductees (Slater, 1985; Klass, 1989). Dr. David Jacobs was kind enough to speak to our class to familiarize the students with the issue, and I had the opportunity to speak with him informally after the lecture. At that time, I mentioned the "UFO abduction" case discussed in Siegel's (1992) book Fire in the Brain. Jacobs had absolutely no interest in learning of Siegel's findings, and expressed the view that no one was qualified to speak on this issue unless they had done dozens of interviews with abductees under hypnosis, as he had. He clearly fit the profile of the true believer as described in my book Turncoats and True Believers (1992). He used numerous ideological defense mechanisms to avoid confronting unwelcome evidence. This closed mindedness can be observed in Jacobs' book Secret Life (1992). As the reviewer for the Journal of UFO Studies (Rodeghier, 1992: 186) observed: "Does Jacobs lead his witnesses? Sadly, one must answer in the affirmative." The whole weight of his argument in the book depends on hypnosis sessions which he conducted himself, and in which his strong convictions cannot help but influence the respondents. "we were unaware that such belligerently antiscientific attitudes were so prevalent at the highest levels of ufology. When these same individuals attempted to suppress evidence of an alleged attempted murder, we concluded that their beliefs and actions were incompatible with `real world' events. However, we do not consider the label `deluded' appropriate here, and we remind the reader that these individuals are backed by people such as Harvard psychiatrist John Mack and David Jacobs, professor of history at Temple University." George Hansen asked me to ask David Jacobs for his reaction to their heartfelt memo, since he had not replied when they sent it to him. When I did so, he dismissed it out of hand, claiming that they were irresponsible members of the UFO fringe. He said the same about Karla Turner and other abduction researchers who differ from his and Budd Hopkins' understanding of the abduction phenomenon. The survey data promise some relief from this subjectivity, thanks to the objectivity of random sampling and statistical analysis. However, even when the data are collected and reported accurately as they apparently were in this case, the biases of the investigator can enter into the interpretation. In this case, only a strong belief in the prevalence of the abduction phenomenon led the researchers to interpret questions about seeing ghosts or having "out of body" experiences as indicators of abduction. Our data show that there is no objective basis for that assumption. The observed correlations are part of a broader psychological syndrome which includes non-UFO related phenomena. Of course, none of this proves that UFO abductions have not occurred in a small number of cases. In fact, two of our respondents volunteered that they had experienced such events. (We made no attempt to verify their accounts.) However, the public can rest assured that there is no evidence that millions of Americans are being abducted. Further research on the psychological phenomenon of cryptomnesia, however, is warranted. Both our survey and Hopkins, Jacobs and Westrum's representative national sample suggest that it is an identifiable syndrome affecting several million people in American society. Robert Baker, Hidden Memories, Buffalo, NY: Prometheus, 1992. Robyn Dawes and Matthew Mulford, "Diagnoses of Alien Kidnappings That Result from Conjunction Effects in Memory," Skeptical Inquirer, 18 (1): 50-51, fall 1993. Theodore Flournoy, Spiritism and Psychology, New York: Harper, 1911. Ted Goertzel, Turncoats and True Believers, Buffalo, NY: Prometheus, 1992. Robert Hall, Mark Rodeghier and Donald Johnson, "The Prevalence of Abductions: A Critical Look," Journal of UFO Studies, n.s. 4, 1992, pp. 131-135. Budd Hopkins, David Jacobs and Ron Westrum, Unusual Personal Experiences: An Analysis of the Data from Three Major Surveys, Las Vegas: Bigelow Holding Corporation, 1992. This survey was replicated in 1998, with a decline in symptoms noted. David Jacobs, Secret Life, New York: Simon & Schuster, 1992. Philip Klass, "Additional Comments About the `Unusual Personal Experiences' Survey," Skeptical Inquirer, Winter 1993, pp. 145-146. Kenneth Ring, "The Cosmic Connection" (interview by Jonathan Adolph and Peggy Taylor), New Age Journal, July/August 1992, pp. 66-69, 122. Mark Rodeghier, "Review of Secret Life by David Jacobs," Journal of UFO Studies, n.s. 4, 1992, pp. 184-189. Elizabeth Slater, "Conclusions on Nine Psychologicals," in Final Report on the Psychological Testing of UFO "Abductees," Mount Rainer, MD: Fund for UFO Research, 1985. Joseph Stefula, Richard Butler and George Hansen, "Budd Hopkins Case of the Abduction of Linda Napolitano," photocopied, January 8, 1993. Ronald Siegel, Fire in the Brain, New York: Dutton, 1992. Lloyd Stires, "Critiquing the `Unusual Personal Experiences' Survey," Skeptical Inquirer, Winter 1993, pp. 142-144. Karla Turner, "Encounter Phenomena Defy `Set Pattern'," UFO Magazine, Vol 8, No. 1, 1993, pp. 26-30.